Until now the Dusky Dancer in Arizona had not been found later than the very beginning of December. 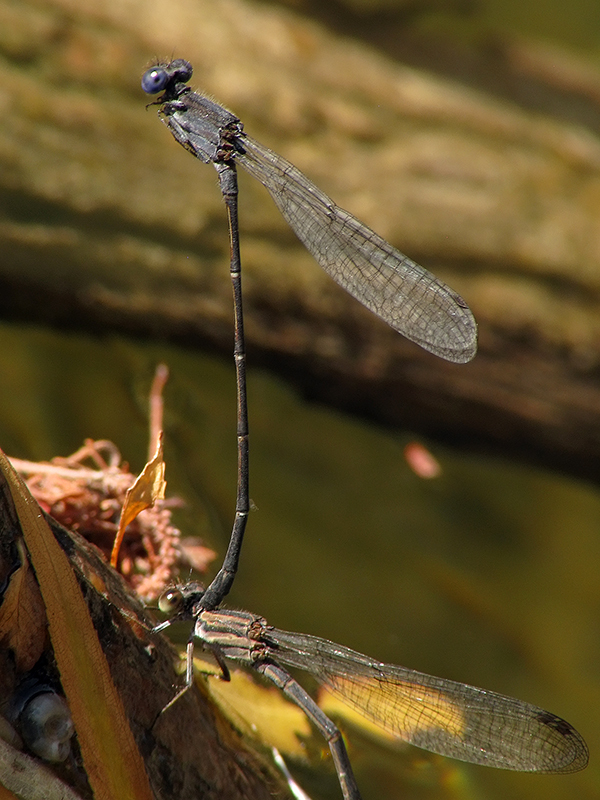 A pair in tandem, with female ovipositing, was observed at the Phoenix Rio Salado Habitat Restoration Area on 8 December 2012. This observation provides a new late flying date for this species in the state. Dusky Dancer, Pair in tandem with female ovipositing, Rio Salado Habitat Restoration Area, Phoenix, Maricopa, AZ, 8 December 2012.